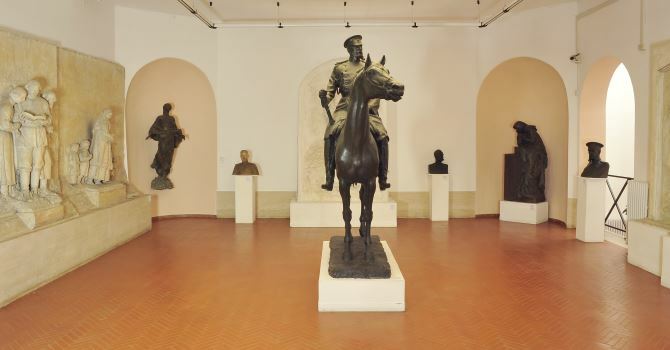 Equestrian statue. Plaster plated with bronze. 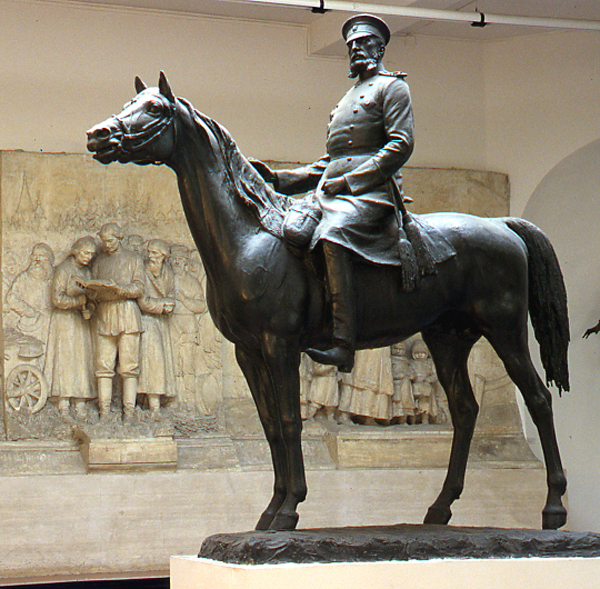 Model for the bronze original, designed for Manejnaja Square in St Petersburg 1911-1913, destroyed in 1917.